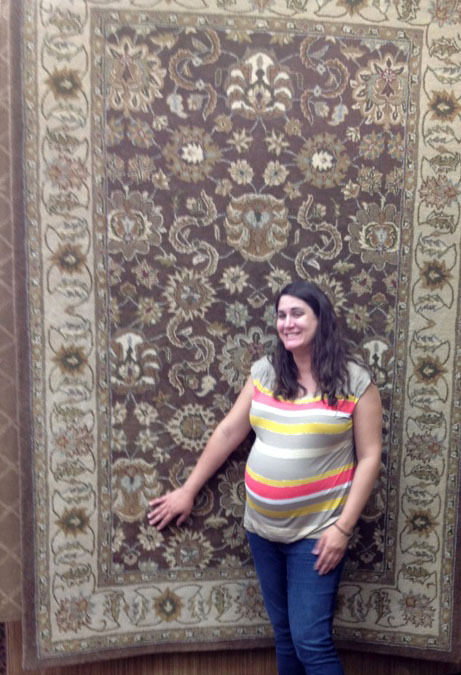 Congratulations to Emily Bauer of Indianapolis, Indiana for winning this month's area rug! She won by entering her name into the drawing at our store. Visit our showroom today! Emily Bauer and her new area rug. Whether you’re flooring a mansion, or looking to carpet your first home, you’ll experience the same high level of service at Kermans. We have been in business for over 90 years for one reason - because we offer good products and good prices. From now thru May 30, 2012, Karastan is offering up to $1,000 rebate on any Karastan carpet or rug. No coupon necessary, just visit Kermans Flooring and ask to see our Karastan collection.